BANDIT'S MODEL TRAINS - Eastern South Carolina's Biggest Little Train Shop! "Welcome To South Carolina's Biggest Little Model Train Shop"
Located in the Pee Dee Region of Eastern South Carolina, Bandit's Model Trains has been the premiere stop for model railroad enthusiasts for over 25 years. 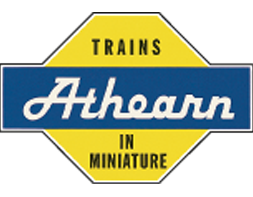 Thousands of visitor's to Eastern South Carolina have trusted our knowledgeable staff and return on each visit to the area to shop for their model railroading needs. With the launch of our web site, we can now provide to those outside of our local area the opportunity to shop with us and take advantage of the service and savings that our local customers have been enjoying for over 20 years. Recognizing that to be successful in a 24 hour e-commerce based global marketplace, responding to the needs of the customer has to be our #1 priority. Our informative and easy to use web site creates a positive shopping experience for all shoppers. Unlike so many other internet sellers, the difference between them and ﻿Bandit's Model Trains, is that everything shown on our web site is actually here on the shelf in our shop and not sitting in a distributors warehouse in another part of the country. We will never list an item on our site that we don't actually have in hand. Therefore, it is not necessary for us to have to define what "in stock" means as seen on many other internet sites. We invite you to explore our web site. Simply browse for an item that you are looking for, or do a search using our unique store search engine, place items in your cart and then check out! We also invite you to visit our other web sites www.banditshobbies.com, www.HobbyBanditUSA.com and www.carolinaracingcollectibles.com for items that are not found here on this site. Items listed here on this site are not duplicated on our other web sites! Enjoy the convenience of shopping 24-7 with us, where "from our store to your door" is more than our motto, it is our #1 priority! 95% of all orders received usually ship the day of order receipt. Orders received week days after 3:30 PM EST will be processed and shipped out on the next business day. Orders received on weekends are shipped out before noon on Mondays. South Carolina Sales Tax (8%) will be added to all orders that have a South Carolina delivery destination. Charges for overages in weight, size or hazardous materials may be added to our shipping charges when applicable. We do ship to destinations outside of the United States provided the purchaser has made arrangements for shipping cost prior to an online order being placed. We have yet to incorporate shipping data to every country on the globe, so when checking out using our shopping cart and NO shipping cost is automatically added, please contact us for shipping information. Do NOT ASSUME shipping is free! ​Note to International Buyers: Import Duties, Taxes, and VAT Charges are NOT included in the item price or in our shipping cost. Please check with your country's customs office to determine what these additional costs may be prior to making your purchase here on our web site. Thanks for visiting and shopping on our web site. Items are added on a daily basis and we trust that you will return often! EFFECTIVE JANUARY 1, 2011, WE WILL NO LONGER ACCEPT AMERICIAN EXPRESS OR DISCOVER CARD AS A FORM OF PAYMENT FOR EITHER MAIL ORDER (TELEPHONE) PURCHASES OR IN STORE PURCHASES!